The World Solar Challenge is held every year and showcases amazing solar-powered cars from around the world. Aurora Solar Car has participated every year since the Challenge began, and now they even sponsor an annual design contest to come up with enticing new vehicle designs. 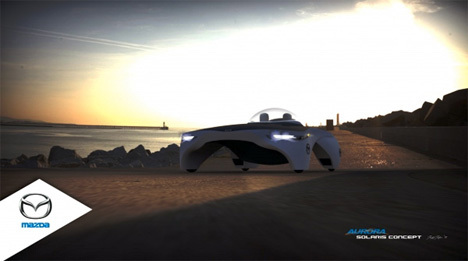 The car above was the 2011 winner in the Aurora Survivor 2050 design contest. 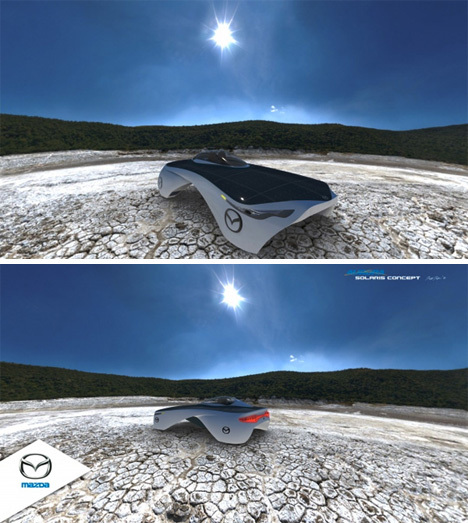 Designed by Ali Jafari, the concept car is called the Mazda Solaris. Its unusual body shape may look strange, but it makes sense when you consider the fact that the solar challenge is held in the desert on relatively flat ground. 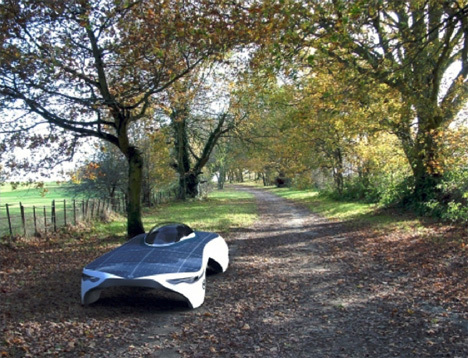 The Solaris’ low-sitting body and abundance of surface area (covered in solar cells, of course) will both help it to speed across the sunny ground. The unique design does make the Solaris quite impractical for regular, everyday use. It certainly isn’t a family car or even a commuter car. But as a vehicle that was designed to glide along the desert floor at 150 km/hr (about 93 MPH), it makes quite a bit of sense.